"Beida" redirects here. 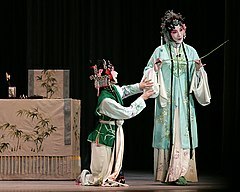 For other uses, see Beida (disambiguation). 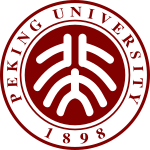 Peking University[note 1](abbreviated PKU, colloquially known as Beida) is a major research university in Beijing, China, and a member of the elite C9 League of Chinese universities. 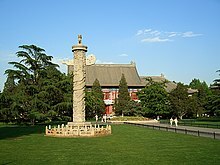 The first modern national university established in China, it was founded during the late Qing Dynasty in 1898 as the Imperial University of Peking and was the successor of the Guozijian, or Imperial College. The university's English name retains the older transliteration of "Beijing" that has been superseded in most other contexts. From its establishment on July 3, 1898, the school was known as the Imperial University of Peking (simplified Chinese: 京师大学堂; traditional Chinese: 京師大學堂; pinyin: Jīngshī Dàxuétáng; literally: 'Capital Grand Study Hall'). The school was established to replace the Taixue, specifically the Guozijian, or Imperial College, as part of the Hundred Days' Reform initiated by the Guangxu Emperor. Liang Qichao drafted the University's organising regulations. The university was authorised to administrate and supervise all provincial schools. Sun Jianai, who then served as the minister of the Ministry of Personnel under the Qing court, was appointed to manage the university. Recommended by Li Hongzhang, Emperor Guangxu appointed American missionary William Alexander Parson Martin to serve as the dean of Department of Western Learning. 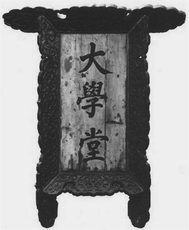 The Guangxu Emperor's reform initiatives were intensely opposed by powerful conservatives of the Qing court. 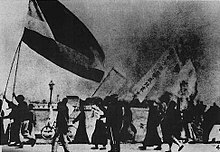 On Sep 21,1898, Empress Dowager Cixi, with support from conservatives, abruptly ended the Hundred Days' Reform and put Guangxu under house arrest at the Summer Palace. 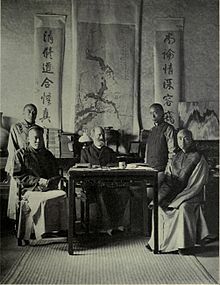 Cixi's coup d'état was followed by immediate rescinding of all policies and laws enacted by Guangxu and his reform-minded supporters, the Imperial University of Peking was the only part of the reform that survived. For a more comprehensive list, see List of Peking University people. Wang Zhongcheng 王忠诚 - a neurosurgery expert, pioneer and one of the founders of neurosurgery in China. Wang received The State Preeminent Science and Technology Award (2008). ^ "History Peking University". Peking University. Archived from the original on 2015-07-16. Retrieved 15 July 2015.